Indian Coast Guard Jobs 2018 - Apply Online for Assistant Commandant Posts (Group A) in Indian Coast Guard, Across India. Online Applications are invited by Indian Coast Guard from 19 May 2018 to 01 Jun 2018 05:00 PM. Indian Coast Guard Assistant Commandant 01/2019 Final Result 2018: Indian Coast Guard has announced the Result on 23 Nov 2018 for Indian Coast Guard Assistant Commandant 01/2019 Final Exam 2018 . Indian Coast Guard Assistant Commandant 02/2018 Result: Indian Coast Guard has announced the Result on 15 Jun 2018 for Assistant Commandant Exam 2018 . 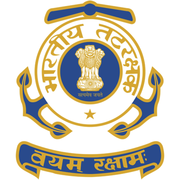 Indian Coast Guard Assistant Commandant Admit Card 2018: Indian Coast Guard has issued the Admit Card on 08 Jun 2018 for Indian Coast Guard Assistant Commandant Exam 2018. (i) Candidates who have passed Bachelor’s degree from any recognized university with minimum 60% marks in aggregate (i.e, 1 st Semester to 8th Semester for BE/B.Tech Course or 1st year to last year for Bachelor Degree Candidates wherever applicable). (ii)Mathematics and Physics as subjects up to intermediate or class XII of 10+2+3 scheme of education or equivalent with 60% aggregate in mathematics and physics. (Candidates not in possession of Physics and Maths in 10+2(intermediate) or equivalent level are not eligible for General Duty (GD) and General Duty (Pilot). 01 Jul 1994 to 30 Jun 1998 (Both dates inclusive). General Duty (Pilot) 01 Jul 1994 to 30 Jun 2000 (Both dates inclusive). Commercial Pilot Entry (CPL) 01 Jul 1994 to 30 Jun 2000 (Both dates inclusive). (ii) Asst Commandant (Pilot) and CPL holders: Height Minimum 162.5 cms, leg length minimum 99 cms. Well, proportionate, minimum expansion 5 cms. 6/6 6/9 - Uncorrected without Glass. 6/6 6/6 - Corrected with Glass. Eligible candidates may apply online at Indian Coast Guard's website (direct link is given below) from 19 May 2018 to 01 Jun 2018 05:00 PM. Candidates log on to http://joinindiancoastguard.gov.in/. (ii) Indicate exact percentage of 12th and Graduation marks up to two decimals and this is not to be rounded off. (vi) In case of OBC non-creamy layer (NCL), the category certificate should not be more than 3 financial years old and for such cases, renewed/fresh certificate to be produced. 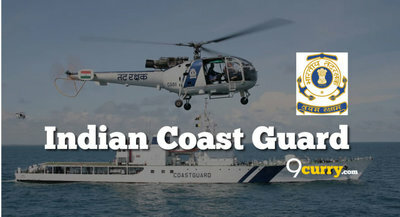 Indian Coast Guard Recruitment 2019 - Job notification for 18 Lascar, Engine Driver, Draughtsman & Other Posts in Indian Coast Guard, Goa, Mumbai, Ratnagiri, Maharashtra, Kochi, Kerala, Daman. Applications are invited by Indian Coast Guard on or before 30 Jun 2019 for 18 vacancies.